“Writing Love” is on sale! Writing Love: Screenwriting Tricks for Authors II by Alexandra Sokoloff is on sale now for just $2.99! This comprehensive guide for aspiring screenwriters and authors teaches how to write love using popular movies, such as Notting Hill, Four Weddings and a Funeral and Groundhog’s Day. 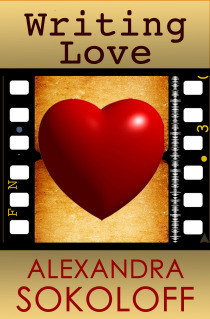 This book focuses on story structure and key elements that make some love stories classic. Get it at Smashwords, Amazon & Barnes and Noble.